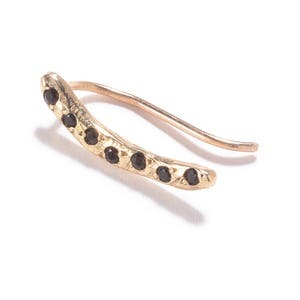 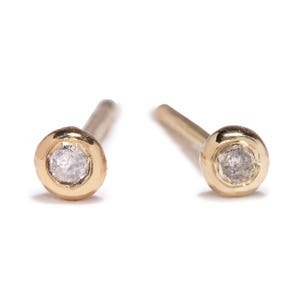 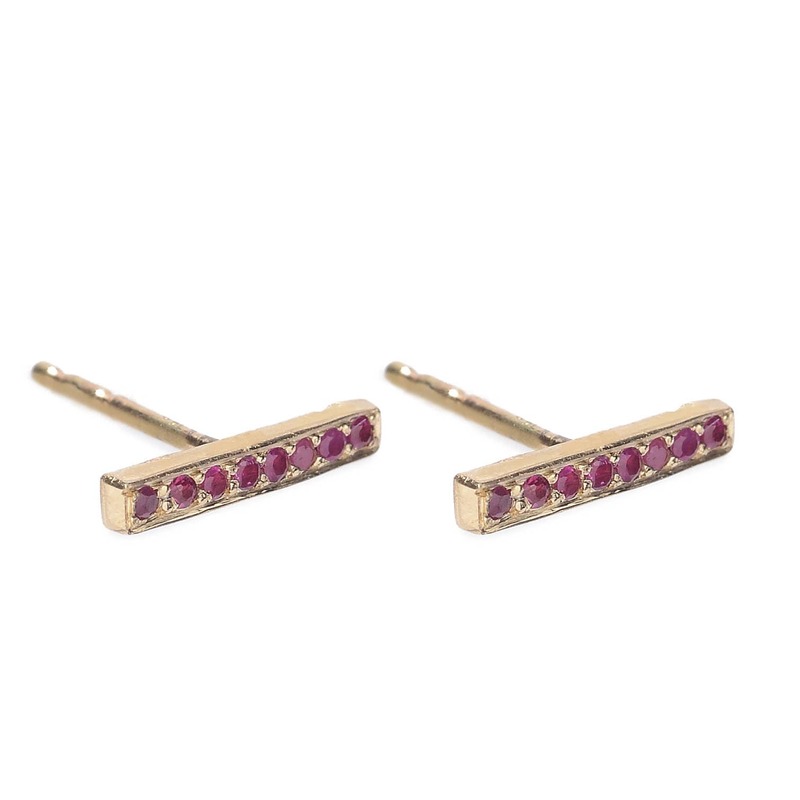 The chained bar post earrings are 14k yellow gold with pavé set rubies. 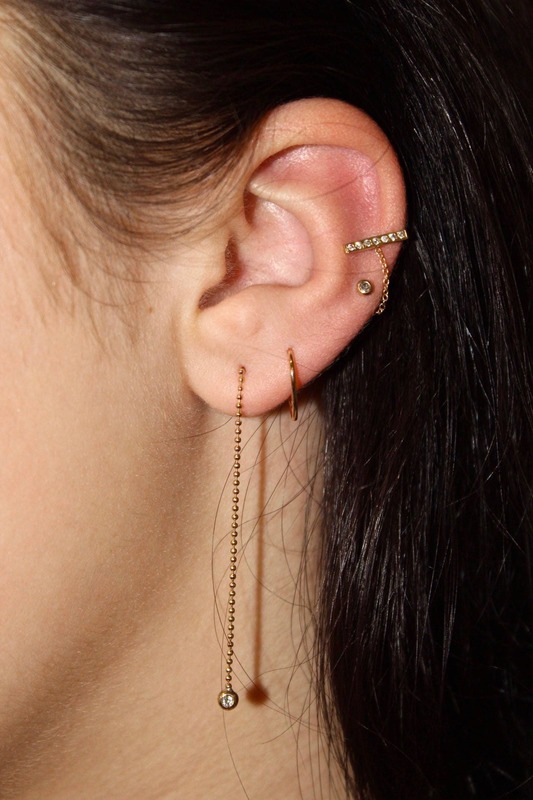 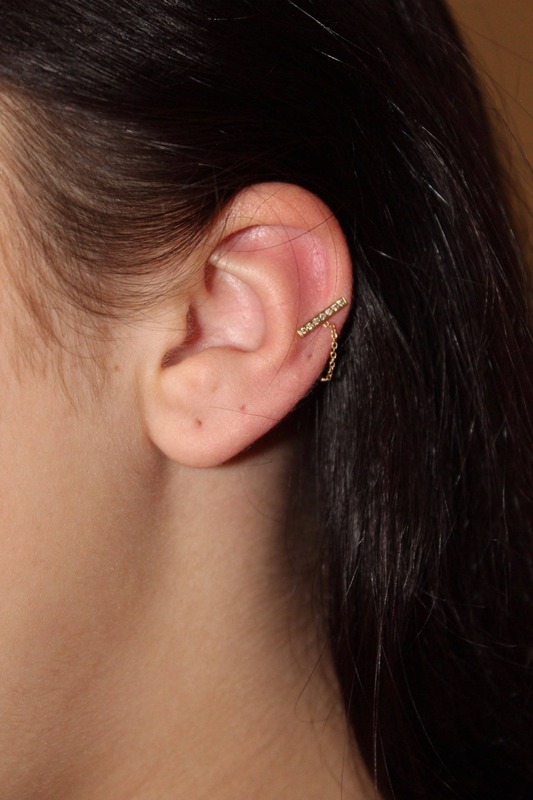 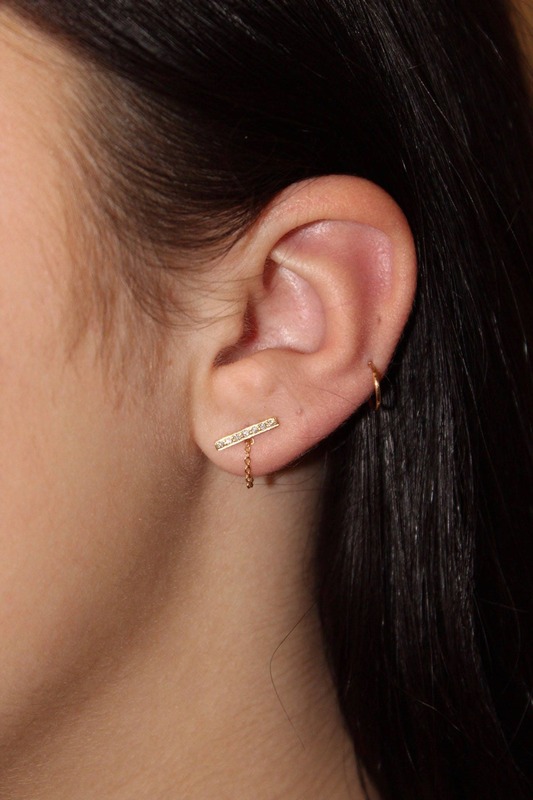 A delicate gold chain runs from the post to the ear backing. 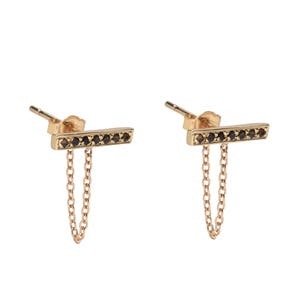 Post measures 11mm, chain is 1". 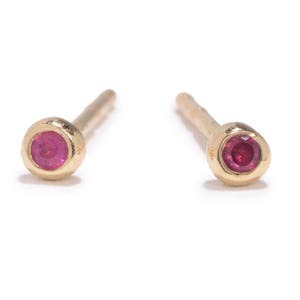 Rubies are 1mm & are pavé set by hand. 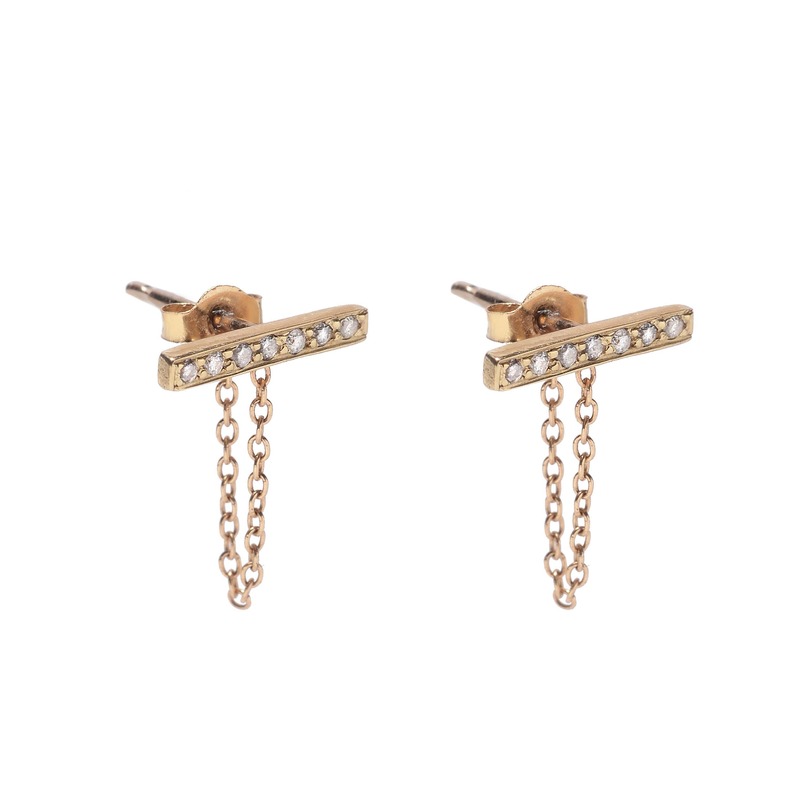 -Available with or without the chain.